Thirteen years after arriving in China, Magnolia Silver Award winner Steve Vermant said he won’t stop sharing his knowledge and expertise with local companies and will continue to be part of China’s exuberant innovative ecosystem. 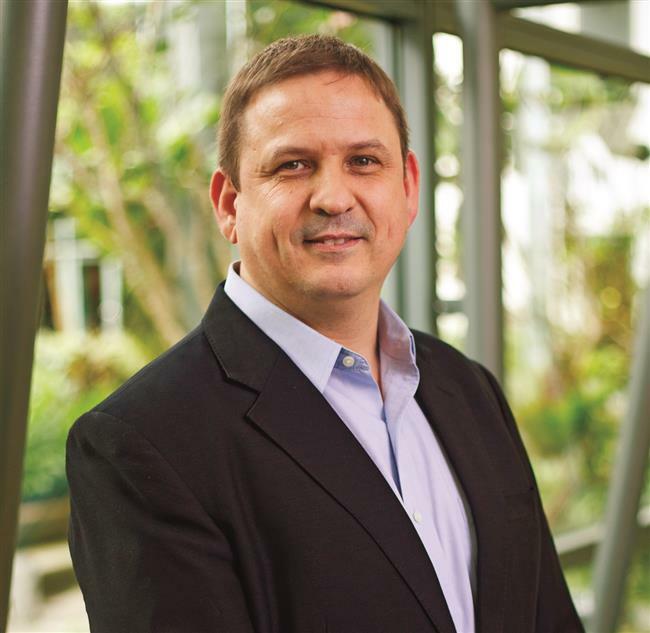 Vermant became managing director of Life Science Business of Merck in China in 2016, heading its research solutions business. He first came to China in 2005 when he was tasked with developing the Asia market and joined Merck in late 2010 through the acquisition of Millipore, following sales and marketing positions in Europe. “I’m proud and happy to receive this award and the recognition for my presence at Merck. As an international company we’re actively contributing to the local business environment in Shanghai,” he told Shanghai Daily. In 2010, he was assigned to China and started to develop the marketing organization of process solutions in Asia. Merck Life Science says it’s committed to bringing the latest technology and expertise to the local market and to foster innovation in the local community. It adds that it understands China’s priorities and sees great potential in cooperation in health care, research and development, and high-tech materials. “We want to stay in line with China’s priority of driving innovation and safety and to bring our expertise to the local market,” Vermant said. In December last year, Merck held the inaugural “Merck-Enactus Green Innovation Challenge” with Enactus China in Shanghai, where 1,015 university students from 137 domestic universities submitted a total of 203 projects. “We’re excited to see a huge number of applicant projects and a high willingness for creativity and innovation among the young generation,” he added. The project is part of Merck’s global volunteer program SPARK, where employees serve as judges and provide expertise as well as advice on project management. Merck’s numerous investments in China include a Life Science Center in Nantong and its first end-to-end bio-development center for the Asia-Pacific region in Shanghai. It has been hiring experts to work with the government on how new rules would be applied after China adopted a series of measures to expedite the introduction and registration of drugs. 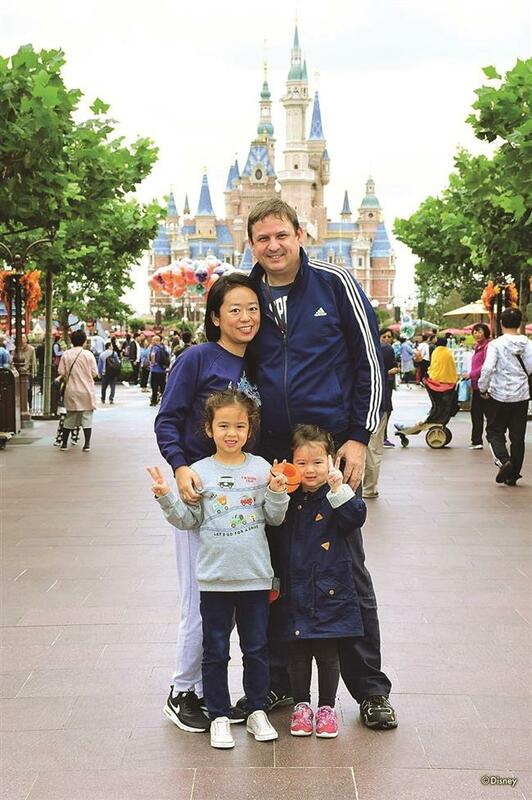 Steve Vermant and his family at Shanghai Disneyland. A key focus of the company’s China strategy is to help government authorities differentiate and make clear demand for pharma products and research tools, and to make sure import rules are appropriate for each product. “We are helping with government and research agencies to simplify the import process so that research can enjoy more tools to do more research at a faster pace,” Vermant said. Expanding the products portfolio and availability in China as well as extending the distribution network to make sure more customers can access its products would be the company’ priority. “Produce in China for China and at the same time growing up our different portfolios are critical strategies for the Chinese market,” he added. Shanghai is stepping up efforts to streamline services and facilitate innovation in its pilot free trade zone with the aim to building Shanghai into a global center for economy, finance, trade and shipping, as well as scientific and technological innovation. China’s leaders on various occasions have called on the country to transform from a “Made in China” to a “Created in China” model, with innovation playing an important role. The 19th National Congress of the Communist Party of China stressed innovation as the primary driving force behind development. The country aims to become an “innovation nation” by 2020, an international leader in innovation by 2030, and a world powerhouse in scientific and technological innovation by 2050. Earlier this month, Merck announced the establishment of its first Mobius single-use manufacturing facility in Wuxi in Jiangsu Province to support local customers in accelerating drug development and manufacturing. The investment will help customers by providing the efficiency and flexibility they need in the development, scale-up and manufacturing phases. “We hope to be a contributor to the development of the life science industry instead of just a trading company, and we want to engage in education and the launch of application labs as an active member of this whole ecosystem,” Vermant said.